Harry Pfingsten holds bachelors and masters degrees from Miami University of Ohio. 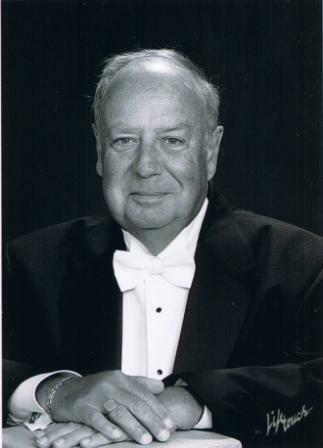 Mr. Pfingsten was a music educator for 35 years, 27 as the director of bands at Avon Lake High School. During his tenure at Avon Lake, Harrys bands received numerous awards and accolades including three appearances at the Mid-East Band Conference, 26 superior ratings at district band contest, and 20 superior ratings at state band contest in class A or AA. The Avon Lake band was selected as Ohio band of the year in 1971. During his career, Harrys bands have been conducted by well-known composers and educators including Commander Ned Muffley, Karel Husa, Paul Whear, Vaclav Nehlybel, Francis McBeth, Elliot Del Borgo, Alfred Reed, Stephen Melillo, and Loras John Schissel. Harry has received the National Band Association Citation of Excellence and is a Jennings Scholar. He has been a guest conductor and clinician throughout Ohio and Michigan, including summer programs at Baldwin-Wallace College, Miami University, Ohio Northern University, and the Blue Lake Fine Arts Camp. In 2007 Harry was guest conductor of the Blossom Festival Band. Mr. Pfingsten is also an active Ohio Music Association Adjudicator. In December 2003, Harry was honored with induction into the Ohio Band Directors Hall of Fame. © Copyright 2017. Patriots Symphonic Band. All Rights Reserved.